Decrease front end weight, lower your motor, and increase header and turbo clearance in your 2011+ Mustang with a K-Member from BMR Suspension. 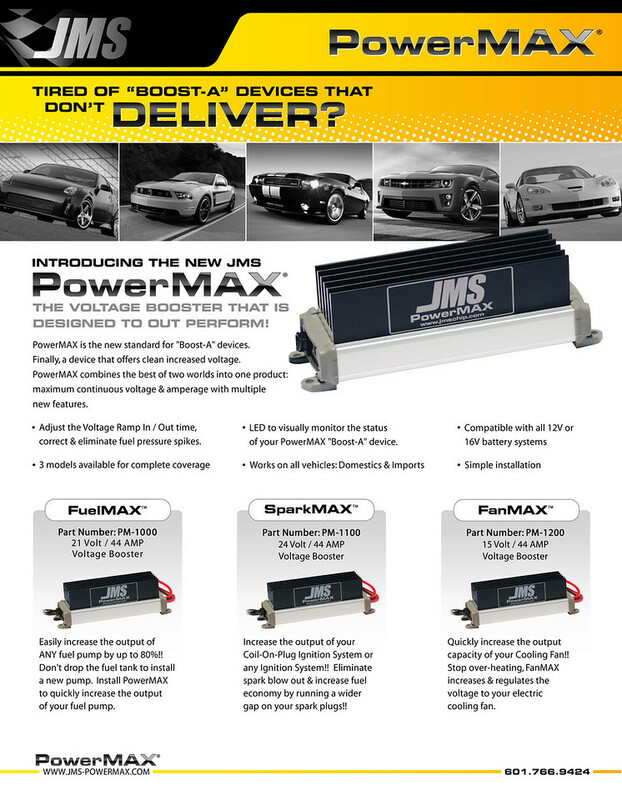 JMS PowerMAX is the newest product on the market designed to boost the voltage to your fuel pump increasing its output. Check out the press release! 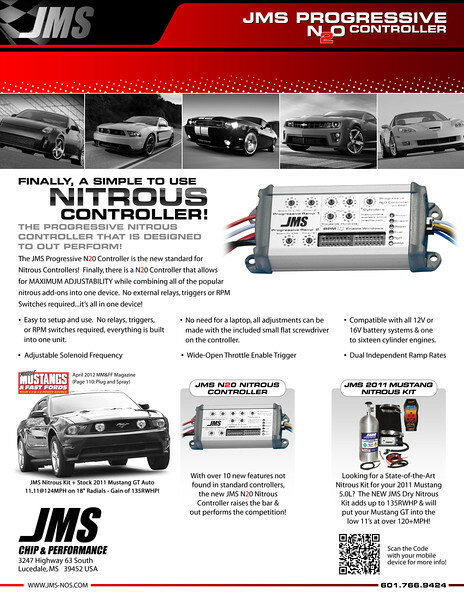 Finally a Progressive Nitrous controller that combines everything that a NOS user needs into one small unit.